1. Who is the winner of Australian Open 2013 Women's title ? 2. Who is the winner of Australian Open 2013 men's title ? 11. Which Indian scientist conferred with China's top science award ? 18. Which film won this year's Best Picture Oscar ? 19. Which actor won this year's Best Actor (in a Leading Role) Oscar ? 20. Which actress won this year's Best Actress (in a Leading Role) Oscar ? 21. Who won this year's Best Director Oscar ? 22. Who is the first person to win Best Actor Oscar thrice ? 23. What is the theme of 2013 International Women’s Day (march 8) ? 24. New Governor of Nagaland ? 25. New Governor of Kerala ? 26. New Governor of Odisha ? 27. Who is the new President of Kenya ? 28. Who is the new PM ( Premier of the People's Republic of China) of China ? 29. Who is the new Pope? 30. What is the name of India's first regional navigational satellite ? 31. Who scored fastest hundred on debut in test cricket ? 32. Where is India's first all women post office inaugurated on women's day ? 33. What is the theme of 2013 world water day (march 22) ? 34. Which year is declared by UN as International Year of Water Cooperation ? 35. Who is the winner of 2013 miss India ? 36. who is the winner of 2013 Saraswati Samman ? 37. Who is recently reelected as IAEA (International Atomic Energy Agency) Director general ? 38. Who is the new Prime Minister of Nepal ? 39. Who is the first female Prime minister of UK who recently passed away ? 40. Who is the new pm of North Korea ? 41. Who is the new Venezuela president ? 42. Who is the new president of Bangladesh ? 43. What is the theme of 2013 World Earth day (April 22) ? 44. Who is the new Governor of Jammu and Kashmir ? 45. Who is the new president of ADB (Asian Development Bank) ? 46. Who is the new prime minister of Italy ? 47. Who is the first woman speaker of Bangladesh ? 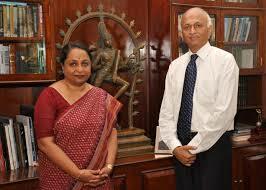 48. Who is the new Comptroller and Auditor General of India ? 50. Who is the first Indian amputee to scale Everest ? 51. Who is the first Pakistani women to scale the Everest ? 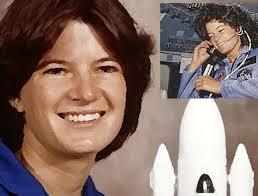 52. Who is the first US women in space ? 53. What is the theme of 2013 International Biological diversity Day (May 22) ? 54. Who is the winner of 2013 Man Booker International Prize ? 55. What is the theme of 2013 World No- Tobacco Day ( May 31 ) ? 55. Who is the new Director General of DRDO ? 56. Who is the new prime minister of Pakistan ? 57. Who were the first twins to scale mount Everest ? 58. What is the theme of 2013 World Environment Day (June 5) ? 59. Who won the 2013 Templeton Prize ? 60. Who is the longest serving defence minister in India ? 61. Who is the winner of 2013 French open women's title ? 62. Who is the winner of 2013 French open men's title ? 63. Who is the new prime minister of Australia ? 64. Who will be the new chief justice of India ? 65. Which is the first smoke free state of India ? 66. Which is India's first navigational satellite ? 67. Who will be India's next foreign secretary after Ranjan Mathai ? 68. Who won 2013 Wimbledon Men's Title ? 69. Who won 2013 Wimbledon Women's Title ? 70. What is the theme of 2013 World population day (July 11)?